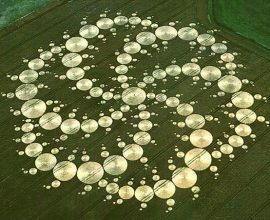 For those who desire EVIDENCE and REAL FACTS ABOUT CROP CIRCLES, please visit my website: CropCircleFilms.com. Patty Greer researches and has visited more than 100 crop circles. In the latter half, she shared the latest in crop formation research, which she believes demonstrates that crop circles are rising from the Earth in counter-rotating plasma vortices. The Earth herself, she asserted, uses this method to communicate through sacred symbols such as mandalas, and ancient codes that compress massive amounts of information into small bits. Crop circles, she continued, leave more evidence than any UFO phenomena, with biophysical changes observable in the plant nodes. Film maker and researcher, Patty Greer talks to Randy Maugans in this first part of a two part show, about her career in researching and experiencing the crop circles of the UK. 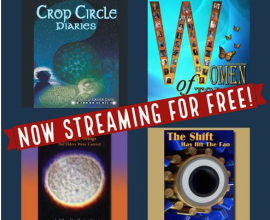 Patty has completed 8 full feature UFO films in the last 10 years that offer explosive new evidence, footage and data about Crop Circles and Plasma Physics. Without misleading or confusing mis-information her movies were filmed in the UK Crop Circle fields where she interviewed the people who returned to the fields year after year like she did. 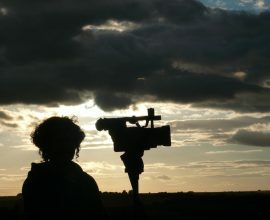 She’s a woman who is bold, direct and intuitive who spent 9 weeks each summer laying in Crop Circles in 2007 and 2008, returning in 2010, 2011, and 2014 with cameras. She has visited more than 100 UK Crop Circle personally and fearlessly filmed mind-boggling multi-dimensional footage for years! In this interview, Patty discusses her struggles with THE CORPORATION, a high profile media company, with whom she signed a ten year exclusive contract for distribution of her films. That contract, and the intransigent blockade of her work has led to years of suppression of both her work in documenting crop circle phenomena and the related research which she joined through the work of Penny Kelly, who was the partner of the late scientist William Levengood. Levengood’s research into crop circles and the effects of earth generated plasma energies, specifically related to how grains seem to grow at rates of 400% inside these energies; and the technology which was created from this research, hold the promise of not only a revolution in food production, but in fact, a radical opportunity for free energy and new modalities of healing and health maintenance. With Patty’s films not only locked up at THE CORPORATION, but a steady stream of bootleg versions of the videos showing up in online markets, Patty wages a battle of time, patience, finances, and even safety against corporate interests to suppress the works, and also control the narratives of UFOlogy. Undaunted, she continues to work, speak, and campaign for a new future that provides sustenance and wholeness for all humankind. As Patty discusses in this interview, THE CORPORATION continues to not only lock up her work, but directly, and through allies, has conducted a campaign of surveillance, stalking, and electronic harassment against her, as well as others who cross their path. THE CORPORATION also has advanced into the UFO conference scene, funding its own “products” such as “Cosmic Disclosure” with David Wilcock and Corey Goode; placing itself as a gatekeeper via sponsorship deals with high profile conferences such as “Contact In The Desert” where Goode and Wilcock were marquee speakers. THE CORPORATION is well known for its highly restrictive contracts and use of manipulative funding of projects in the alternative research media to control information and research on highly controversial subjects. We will discuss this further in an upcoming article.